North Dakota is most certainly part of the latest craft beer revolution, with around a dozen different breweries currently operating from Minot to Fargo and several points in between. While it wasn’t always that way, we have had some very important and interesting connections to beer since before we even became a state. 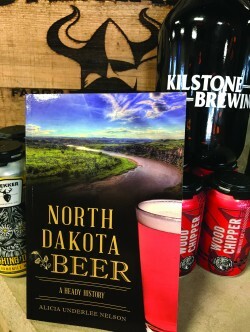 Freelance writer and photographer, Alicia Underlee Nelson goes in depth to explore our history with beer in her new book “North Dakota Beer: A Heady History”, which she is currently supporting with a book signing and discussion tour that is taking her across the state. Through roughly one hundred and thirty pages that also include some great historical photos as well as mouth watering images of your favorite local beers, she takes us on a three hundred year trip through time to explore our beer drinking past as settlers before statehood, early saloon history, our continued love of beer through high times and dry times, the connections to some really big names in beer that railroads and rivers provided and the history of brewpub and brewery brands of the past. As someone who feels a very strong connection to the current rebirth of the craft beer scene in our state, this book is a fascinating read. Despite the fact that I have been in the beverage industry for almost two decades myself, I had never known that both Pabst Brewing Company and Miller Brewing Company once had deep roots in our state and that Frederick Miller himself owned and operated a Milwaukee Brewery in Bismarck as a satellite location of Frederick Miller Brewing Company. The “heady history” she presents is quite impressive and her opening acknowledgements give hefty credit to Mark Piehl and Markus Krueger of the Historical and Cultural Society of Clay County and Frank Vyzralek of the State Historical Society of North Dakota who had quite obviously done some extremely extensive research on the varied topics tied to our history with beer. 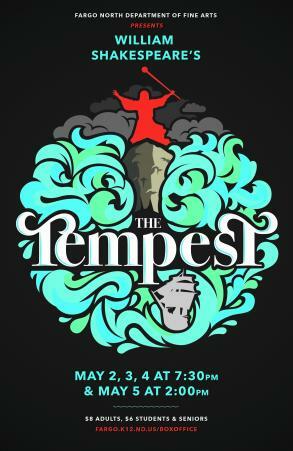 Throughout the first few chapters we learn of the first ales produced in North Dakota, who produced them, the birth of underground social scenes, the Hurdy-Gurdy Girls and beer runners during prohibition. She then moves through our period of mainstream appreciation that included barn dances, epic parties like the Zip to Zap and our first post-prohibition brewery before taking us through the first attempts at establishing a craft beer scene in the 1990s to the explosion that began in 2009 and took us from zero to a dozen craft brewers in just a few short years. The way she closes by introducing the reader to the current players in the new craft beer revolution in North Dakota made me not only proud to be in the midst of such an exciting time but also served to whet my appetite for a great locally crafted beer. I can imagine more than one reader finishing the book and heading right on over to their favorite tap room to enjoy a cold one with a swell of pride in their smile.